The shirt has a center front opening with a two way slide fastener closure backed by a wind protection flap. It also has a collar, raglan sleeves with underarm slide fastener openings and a wrist tab with hook and loop adjustments, two internal upper chest pockets, two lower hand warmer pockets with slide fastener openings lined with ThermaStat or equal, and nylon reinforcements at the upper back, shoulders, upper chest and elbows. Nylon/lycra binding is used on the edges of the wind flap and bottoms of the sleeves. The shirt bottom is faced with a nylon binding that covers an elastic cord and has cord lock adjustments at each side seam. All slide fasteners have a thong for ease of opening when wearing gloves. This design provides a garment that is light in weight, low in bulk, has environmental protection, and comfort in movement. The overalls are of the bib type, with adjustable suspenders, side full-length slide fastener closure, and center front slide fastener fly opening. All slide fasteners have a thong for ease of opening when wearing gloves. This design provides a garment that is light in weight, low in bulk, has environmental protection, and comfort in movement. 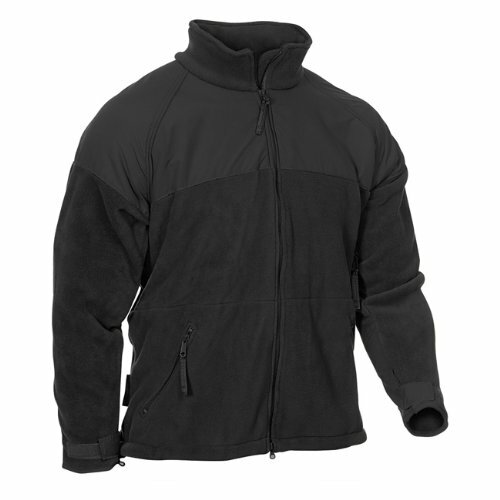 The basic material for the shirt is 100% polyester circular knit terry, double-sided, heavy weight velour Polartec Classic 300 Style 7587 pile or equal, weighs 10.0 ± 0.5 ounces per square yard. 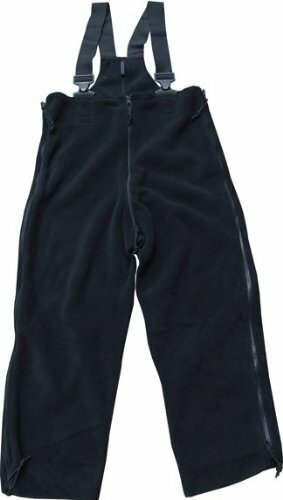 The basic material for the overalls is 100% polyester circular knit terry, double-sided, medium weight velour Polartec 200 Style 7614 pile or equal, weighs 7.0 ± 0.5 ounces per square yard.